New year home improvement plans are a fun and imaginative way to get your home ready for the coming year. But with so many diverse interior styles to choose from, it can be a difficult task to decide what will suit you and your family best. So, we thought we’d offer a helping hand by taking a closer look at the hottest home trends set to be popular in 2019. 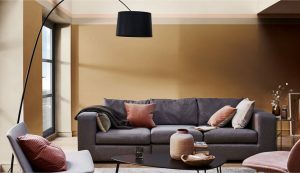 Washed, muted and earthy tones are set to dominate home décor this year, so it makes sense that the Dulux Colour of the Year 2019 is the delicious caramel shade of ‘Spiced Honey’. Neutral yet warm, interior designers are suggesting this raw and natural hue is ideal to be paired with rich vibrant shades that you’ve fallen in love with but may not be confident enough to cover an entire room in. ‘Textile art’ – searches up by +1718% Getting creative by literally wrapping walls in textured fabrics. ‘Painted floor tiles’ – searches up by +1276% Instead of removing old floor tiles, people are getting inventive and upcycling tiled flooring. ‘Contemporary fireplace’ – searches up by +763% Modern and sleek fireplaces are gaining momentum. ‘Tin interiors’ – searches up by +563% From wallpaper to backsplashes, vintage tin is in! As you can see, natural colours combined with bold accessories, sculptural and architectural hanging house plants and geometric patterns are set to dominate 2019 home interiors. 70s retro is set to make a comeback too, fusing oranges, browns and beige tones with natural textures, woven furniture and fringed/trimmed inspired items. 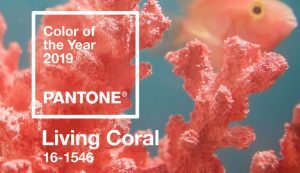 With regards to garden design trends coming our way in 2019, bold colours ecologically planted to cope with the UK’s increasingly extreme weather is the main theme here. Those of you who are short on outdoor space may be interested in the ‘vertical garden’ trend on course to hit Britain this year. Outdoor contemporary fireplaces, distressed timber cladding, log walls and metalwork will also find their way into UK gardens too. 2019 home trend inspiration from our Pinterest board! It looks like we’re set for a rather vintage year, united with a contemporary twist that’s firmly focused on climate change and the environment. A new single storey extension could be just the answer you’re looking for to add much needed space and create an area that’s both relaxing yet unique. Contact the SEHBAC team for expert home improvement support and advice, for complete peace of mind this year.